All of us have that one card (perhaps more) that we regret parting ways with. Sometimes our regret comes in the form of sentimentalism. Others have a hard time finding a replacement due to the card’s scarcity, while the rest of us are faced with not wanting to fork out the cold hard cash that is needed for replacing a card. One such card for me is the 1980 Topps Rickey Henderson Rookie Card. I had this iconic card during my childhood but eventually gave it to my younger cousin (along with every other piece of cardboard I owned) once I hit those teenage years. Since then- or at least since re-entering the hobby in 1991- I have found myself wanting to buy another Rickey Rookie, but have always balked because of the higher prices. The good news, of course, is that many of the key cards from the pre-junk/junk wax area have seen their prices drop in recent years, making them far more affordable for those of us on a tight card budget. And that was welcome news as I took on took on the task of putting together a set of 1980 Topps baseball. After purchasing a starter lot, I’ve been slowing piecing together this personal favorite. At one point this summer, I thought I might have a chance to work a trade for a Henderson. It didn’t pan out and I put the idea on the back burner for a while. A recent email changed that, however, and a click of the mouse sent me to the store link of DJ’s Sportcards in Renton, Washington. I had visited DJ’s while in Seattle for a Van Halen concert a few years ago. My buddy was still working when my flight arrived, so I picked up my rental car, searched for some LCS on Google, and headed over to Renton. The shop itself had a nice selection of new and old, autos, as well as other stuff. While there, I signed up for their email list, which is sent out each Friday and usually features some of their most recent acquisitions. Don- the owner- has adopted quite a few kids from other countries and the newsletter will occasionally have updates on the latest news with (or addition to) their family. Anyway, the most recent newsletter featured an ’80 Topps Henderson in EX condition for $19 shipped. I decided to click the link while not getting my hopes up. To my surprise, the card was still available and I decided this was the time to buy. Not only was the price right, but I really wanted to give this man my business. I’m an advocate of adoption and if this man’s family is willing to open up their home and their lives to children who are in need of love and a chance at a better life… then I’m happy to spend my money there and help them in meeting the needs of these children. I *might* have been able to pick one of these up for a little cheaper on eBay, but all things considered, I think I got quite a deal for this card of the Man of Steal. 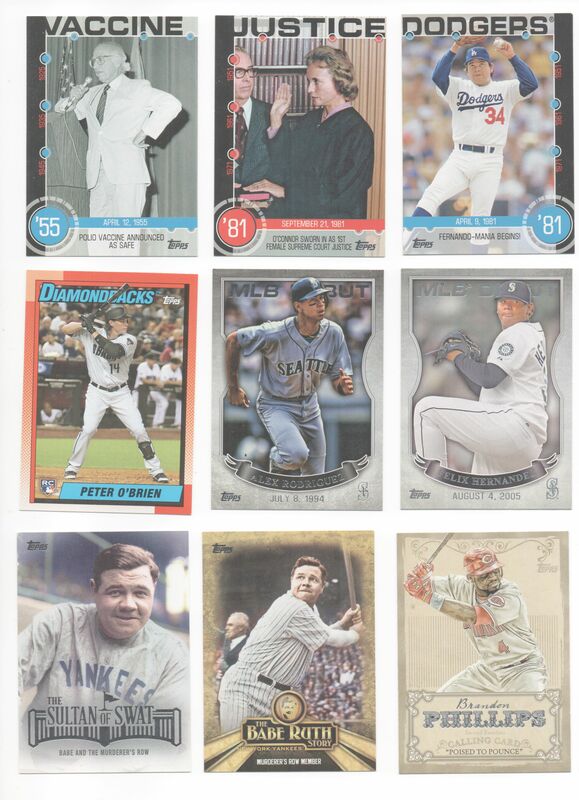 One of my favorite parts of the card sets of my youth (’70s,’80s) were the Record Breakers subsets that often graced the beginning of the set or the low to mid-200s. I guess the interest was two-fold: first, it put the previous baseball season in an historical context and, second, at that point in my young life, I thought of Record Breakers as being the really big names in the sport (Reggie, Ruth, Seaver)- not the Greg Minton‘s of the world. And that they celebrated obscure records like the most stolen bases by a catcher in a season. Are you kidding me? I found it fascinating. And just as records are meant to be broken (I know, cliche), so it is that the inclusion of subsets such as Record Breakers in the base set would one day come to an end. The first exclusion of RB was a temporal one- the 1984 Topps set- before its return from ’85-’92. 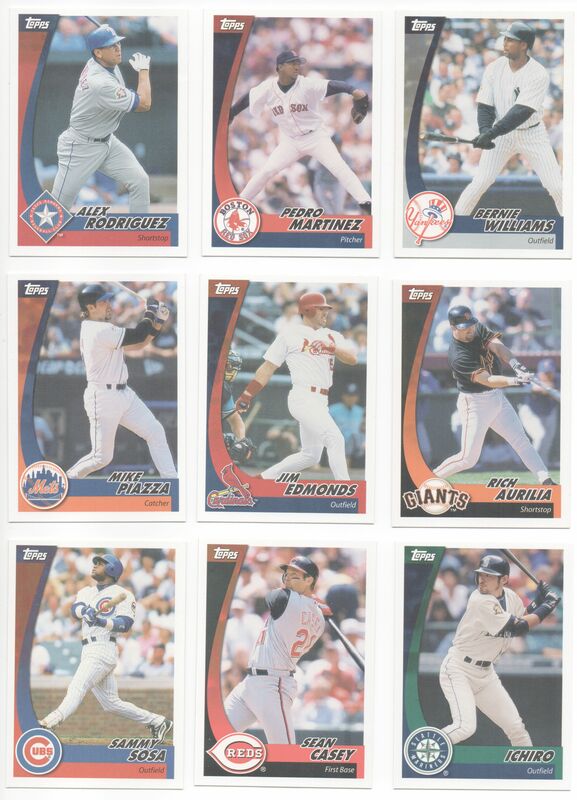 Another hiatus took place from ’93 until the 1999 set featured card #220, with its 70 different versions of Mark McGwire’s Home Run record. 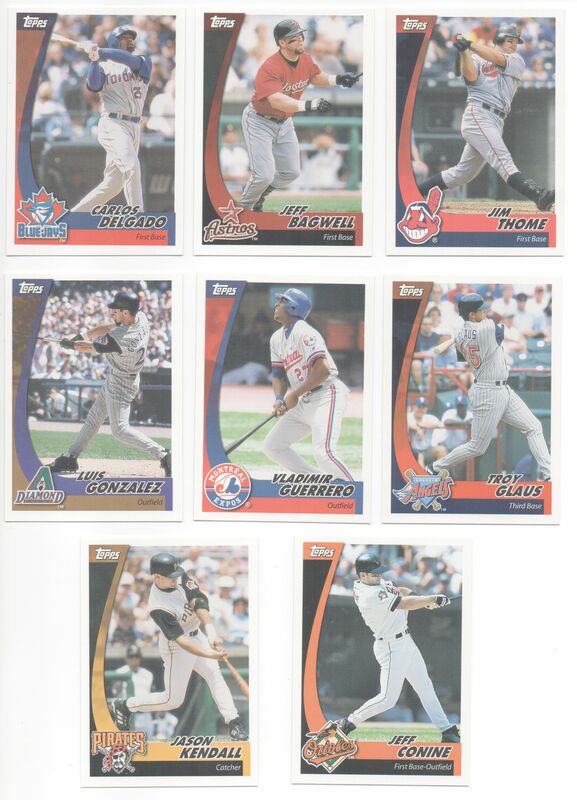 That year also brought with it Record Numbers, a ten-card insert set that was randomly inserted one every eight packs. 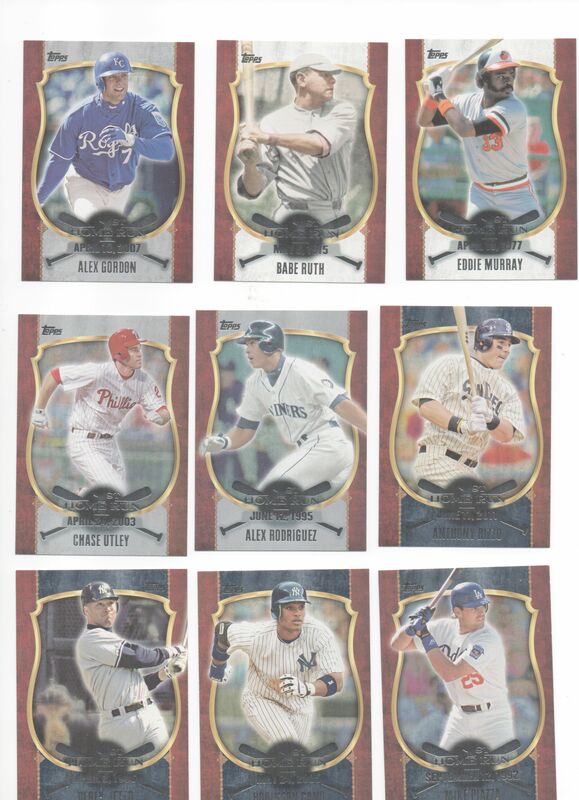 Unlike some of the earlier sets that featured unknowns, this one featured some of the sport’s biggest stars: McGwire, the Kid, Clemens, Ripken. The design of the 1999 Record Numbers set looks like it would have been more at home in the 1995 set, with its serrated edge. The fireworks in the card background are very much ’90’s-ish. 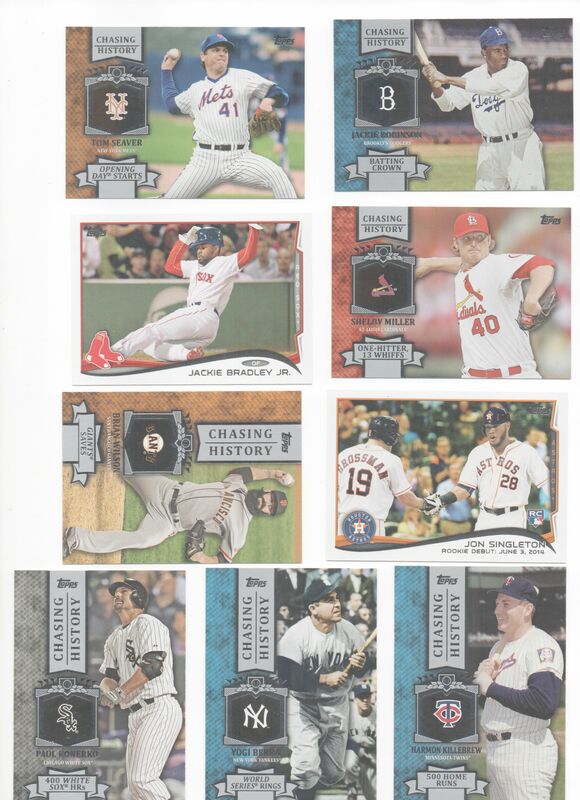 I won’t go through the history following the ’99 set, but I do want to feature a few recent additions to my collection from this year’s Record Setters insert set. 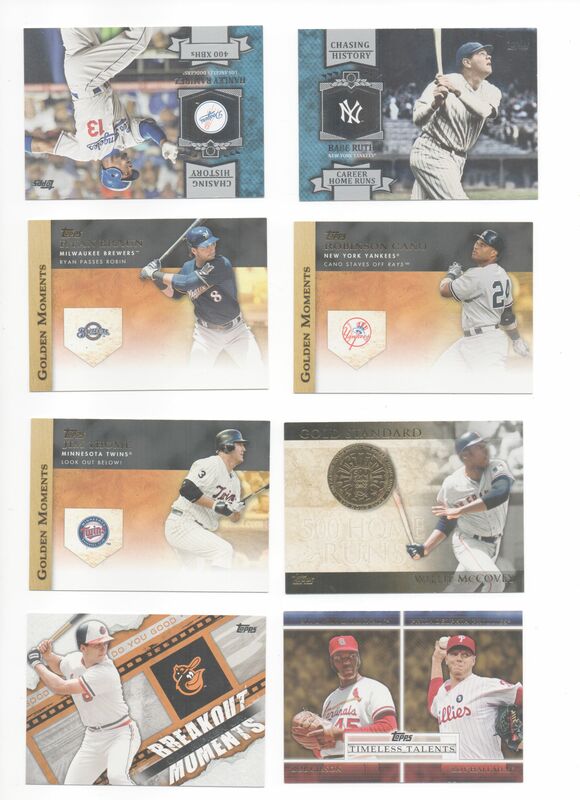 As cool as the cards are, the insert name is really a misnomer: some of the subjects didn’t set any records- at least none that are recognized on the card. Take Adrian Gonzalez, for instance. 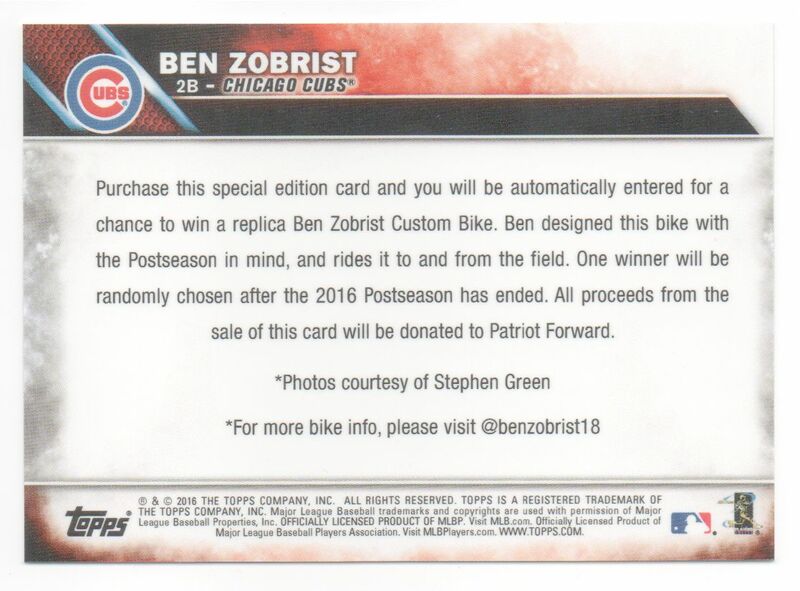 The AGonz card back says the following: “With a two-run homer in the fifth inning of an 8-0 whitewash of Atlanta on May 26, 2015, Gonzalez became the 12th active player to reach the 1,000-RBI plateau for a career. He finished with 90, making him one of four active players with at least that many in nine consecutive campaigns.” Am I missing something? 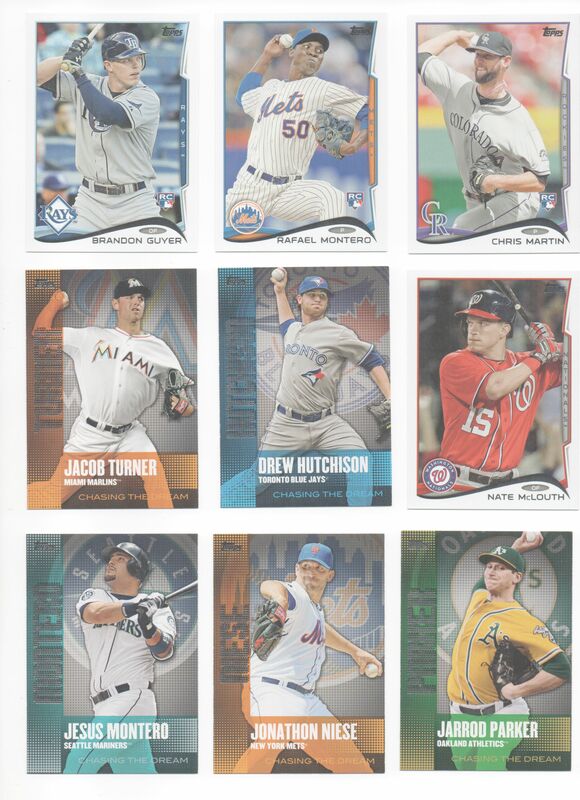 Regardless, I do like the design of the cards and am now down to needing only two for the insert set: RS7 Dallas Keuchel and RS14 Josh Donaldson. It’s been a strange year for this Topps collector. 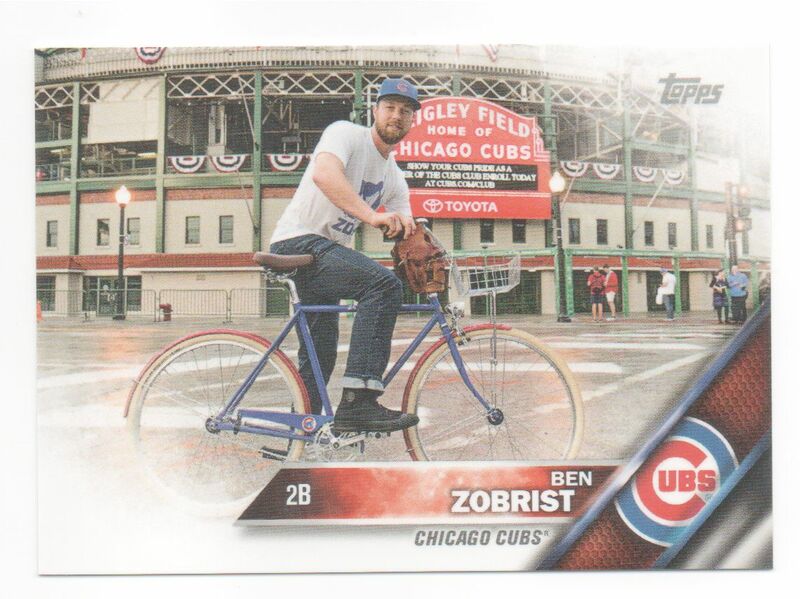 I was severely disappointed when the design for 2016 Topps baseball was unveiled- so much so that my initial reaction was to just forego collecting the base set this year. I relented, and went ahead and pre-ordered a couple of boxes of Series 1. After all, I had decided I was no longer a team set collector and was going to go work on a complete run of sets dating back to 1976, the first year I began collecting. 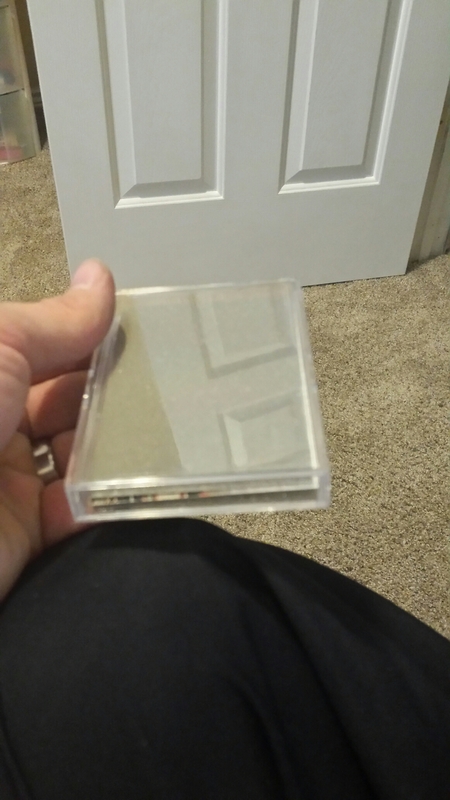 A funny thing happened on the road to Series 2: I found the design growing on me and I ordered four boxes (I would have ordered fewer, if not for a show I was going to be doing shortly thereafter, as well as to sell on my Sportlots account). 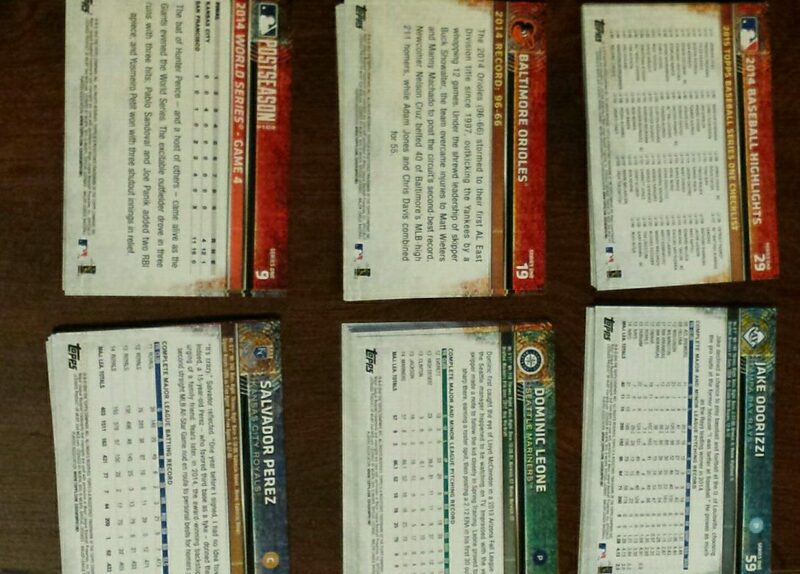 I pre-ordered two boxes of Update, thinking I might fall short of a set from one box. And while I didn’t pull any big-time autos like I did in Series 1, I will say that I was pleasantly surprised at the collation in each box. The last time I purchased boxes of an Update product was 2010, and the collation was so bad it turned me off from buying any more boxes- at least until this year. **Well, my month-long internet problems resulted in our modem crapping out on us a couple of days ago. The good news is that after a number of calls in the last couple of weeks, I was able to finally convince the Century Link tech that I’m having REAL problems and needed a new modem. 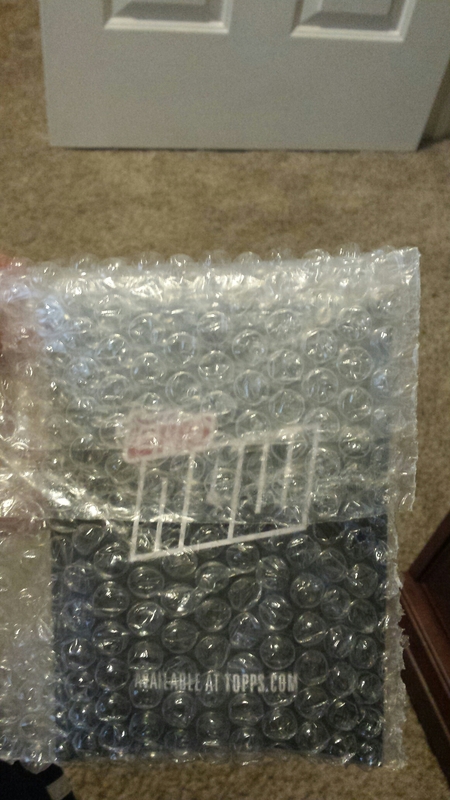 They charged me for shipping (I paid $22 to have it sent Next Day Air; $15 for regular ground. You do the math) for a *free* modem. Now…viola! I can upload photos. I was thrilled to see Edwin Diaz’s rookie card included in the Update set. Kid did an impressive job as closer after spending almost his entire professional career as a starter. As far as the other two cards, need I say more? As of right now I’m undecided on whether or not I’ll try to finish the Franklin set but I think the others will be ones I work towards completing. I have quite a few base singles, if anyone is in need of some of completing their set(s). Let me know your needs!